Two essential beauty products you should never miss in your beauty regimen are a facial moisturizer and a sunscreen. Regardless of your skin type, be it dry, oily or normal these two products have immense value in protecting the skin. You should always protect the skin from the harmful effects of the sun. Research done indicates that harmful rays from the sun are responsible for the development of non-melanoma skin cancer. There are more than 3 million cases in the US of people that get this type of cancer. But what do you need to protect yourself from this danger? You need to acquire a sunscreen product that has an SPF ranging from 15 to 30 to keep off the UV radiation from coming into contact with your skin. Sunscreen is not only important in preventing cancer development in the skin. UVA radiation from the sun is also known to speed up the process of aging by contributing to the development of fine lines, wrinkles, skin irritation and dark spots. To take care of this issue, it is best that you deal with it from the root cause by using a sunscreen to protect your skin from the suns UVA rays. However, several people have found sunscreens to be too thick for the face. Some of these products end up clogging the pores and leaving the face feeling greasy. How can you keep your skin smooth and supple with the right moisturizer and still get the benefits of protecting the skin from the sun rays without clogging your skin pores? You need to consider getting an SPF facial moisturizer since it is lighter on the skin surface. A good moisturizer with SPF can provide your skin with broad-spectrum protection against the sun rays while also keeping your skin smooth and supple. Just as studies reveal, by using the right amount of SPF in the beauty products you can slow down the skin’s aging process by 24 percent. 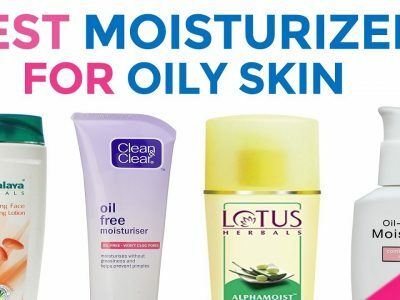 We took it upon ourselves to categorize the best moisturizers with SPF that are dermatologically tested and approved to hydrate your skin while keeping you safe from the ray of the sun throughout the day. Paula’s Choice-RESIST Super-Light Daily Wrinkle Defense is a unique formula that contains a lightly tinted moisturizer with sunscreen of SPF 30. The formula is made for normal to oily skin and helps reduce wrinkles, fine lines and even out the skin tone. With consistent use, you can expect a firmer skin surface. The moisturizer as well contains antioxidants and Resveratrol that helps in repairing and renewing skin that was damaged as a result of prolonged exposure of the sun. It does not leave behind the white cast often associated with most sunscreens. The Moisturizer works as an excellent base if you are using other makeups. It is light and silky and leaves a soft matte finish that prepares the skin for use with different makeups. The moisturizer with SPF is free from fragrance and has been clinically proven to be non-irritating. 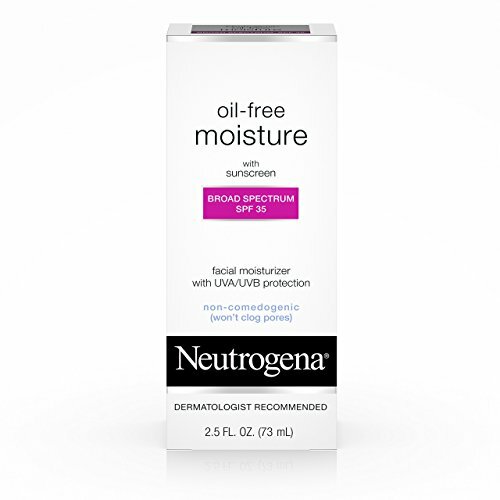 The Neutrogena Oil-Free Daily Facial Moisturizer is a lightweight lotion that is clinically proven to provide the skin with long-lasting moisture while still adequately protecting it from the sun rays allowing it to look softer, smoother and younger. The Lotion is non-greasy and absorbs very quickly into the skin without clogging the pores or leaving the skin looking shiny. It has an SPF of 35 that offers broad-spectrum protection from both UVA an UVB rays hence preventing the skin from getting cancerous growths and the premature signs of aging that are brought about by the constant exposure to the sun’s harmful rays. The oil-free moisturizer with SPF is hypoallergenic and non-comedogenic. 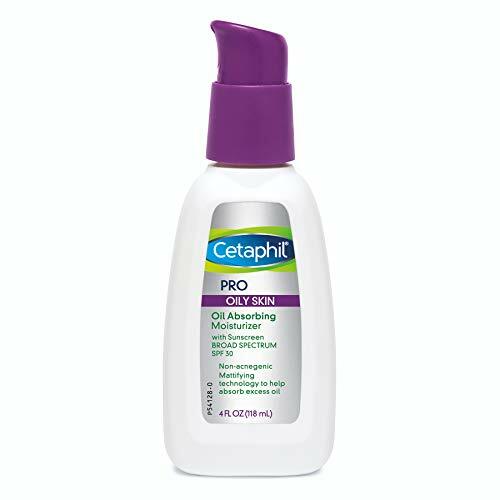 It is the number one oil-free moisturizer recommended by dermatologists. For the best results, it is best if you apply after cleansing all over the face and the neck region. You can use it as a base for further makeup. If you have sensitive skin, the Olay Complete Daily Defense All Day Face Moisturizer with Sunscreen may be what you need to keep your skin healthy and give it a fresh look. The moisturizer is designed by skin experts to help prevent the premature damage of the skin by harmful sun rays. It comes with an all-day SPF of 30 that offers broad-spectrum protection from both UVA and UVB rays of the sun. The oil formula contains zinc oxide, Vitamin B3, E and Aloe that help to protect the skin while also offering a hydrating relief to the surface. The moisturizer is lightweight and will not clog your pores. It is also non-comedogenic. For proper use, always apply 15 minutes before exposure to sunlight. Additionally, ensure that you reapply after every 2 hours. The Aveeno Positively Radiant Daily Facial Moisturizer has been clinically proven to even out the tone and texture of the skin and leave behind a naturally radiant skin. The Aveeno Brand has been in the limelight since 1945 with their scientific advances in natural ways to nurture the skin and enhance its state of health and beauty. The Aveeno Positively Radiant Daily Facial Moisturizer incorporates the use of an active natural soy complex that has been used for thousands of years in traditional Chinese medicine to reduce the appearance of blotchy skin and protect the skin from discoloration. The active naturals total soy complex helps to visibly transform dull and uneven surface in 4 weeks and make it brighter, even and more radiant. The moisturizer is oil-free, non-comedogenic and hypoallergenic. It has an SPF of 30 that offers broad-spectrum protection to the skin against damage from the sun. The RoC Multi Correxion 5 In 1 Anti-Aging Daily Face Moisturizer is a formula that took seven years of research by scientists to develop. It uses Hexinol Technology that targets five signs of aging that include discoloration of the skin, sagging, loss of moisture, dull skin tone and wrinkles. The moisturizer is made to provide a powerful solution to aging within four weeks while still being gentle enough on the skin to allow everyday use. You can note an improvement in the skin elasticity, skin that was initially sagging becomes firmer and the discoloration is tremendously reduced. There is a smoother appearance of the skin where initially there were fine lines and wrinkles, once dry skin becomes full of moisture, and the overall radiance of the skin has an improvement. The moisturizer comes with an SPF of 30 and offers broad-spectrum protection. 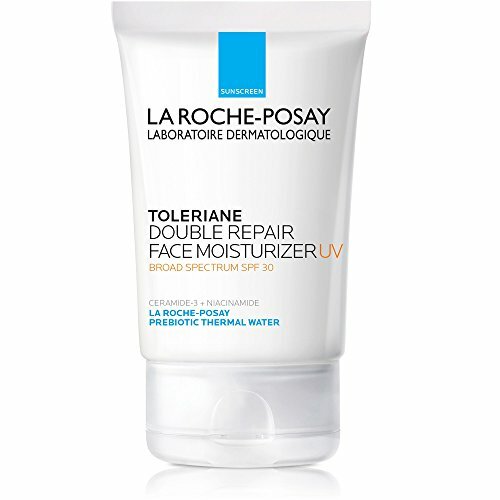 The La Roche-Posay Hydraphase Intense Riche Face Moisturizer provides a 24-hour moisturization to skins that are dry or dehydrated. The moisturizer is recommended for use by more than 90,000 dermatologists from all over the world. It was made to complement and enhance the treatment dermatologists offer their patients helping them to maintain good skin care practices while at home. The formula includes hyaluronic acid that can absorb 1000 times its weight in water providing the skin with long-lasting hydration. It comes with an SPF of 20 offering the surface broad spectrum protection. The CeraVe Facial Moisturizing Lotion AM SPF 30 is a morning skincare solution that contains three essential ceramides 1, 3 and 6-II, hyaluronic acid soothing niacinamide that help to restore and maintain the skin’s protective cover while still ensuring that the surface has enough moisture. The lotion delivers the moisturizing ingredients into the skin slowly over time by using a patented Multivesicular Emulsion technology. The moisturizer features an invisibleZinc Technology that offers a broad spectrum SPF protection of 30. The moisturizer is gentle on the skin and does not clog the pores. It is oil-free and non-comedogenic. 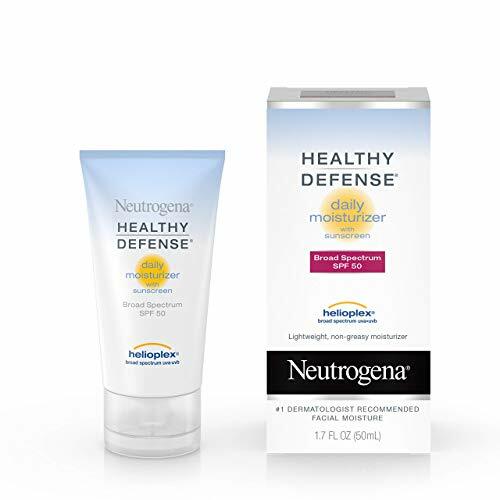 The Neutrogena Ageless Intensives Anti-Wrinkle Deep Wrinkle Daily Facial Moisturizer features Helioplex Technology that helps the skin look vibrant and healthier with a reduction in the number of visible wrinkles within two weeks. The moisturizer contains retinol and hyaluronic acid that aid in smoothening the wrinkles on the skin while plumping the skin with moisture. It has an advanced SPF of 20 that offers broad-spectrum protection shielding the skin from the sun’s harmful rays. The moisturizer is clinically tested and recommended by a dermatologist. It will not clog your pore when in use. The Replenix Antioxidant Sunscreen Moisturizer is a trusted pharmaceutical skin care product that has been in use for more than three decades with a reputation on excellent quality. The moisturizer helps to keep the skin hydrated and can be used by any skin type. It has powerful antioxidants that help to soothe the skin and protect it from free radical. The Moisturizer comes with an SPF of 50+ that offers broad-spectrum protection from all the harmful rays of the sun. It does not leave any white streaks familiar with most sunscreens. The moisturizer is free from oils, parabens, and fragrance. The sun-protecting factor or SPF is the rating system that determines how well a beauty product blocks UVB radiation. There are two ways you can understand this. 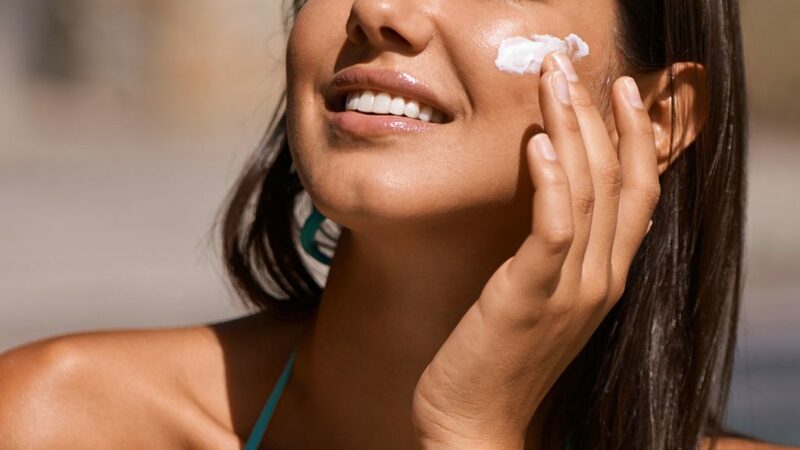 One, an SPF rating can tell you how much longer a product can protect your skin from burning when using the product than when the surface is exposed directly to the sun rays. A good example, a product that has an SPF of 30 can protect your skin from burning 30 times longer than when the surface is under the exposure of sunlight without the product. The second way you may understand SPF rating is by the percentage of UV radiation that it filters from reaching the skin. You need to know that no product is capable of blocking out 100 percent of the sun’s radiation. You should always avoid products that claim to be 100 percent effective. 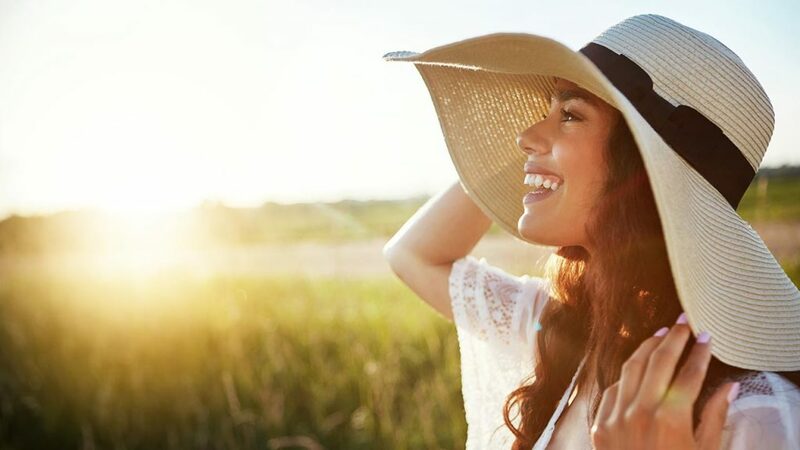 An SPF of 15 can filter out on 93 percent of the suns UVB rays, an SPF of 30 can protect against 97 percent of the UVB rays while that of 50 can get only 98 percent of the sunrays. Even though some products may have an SPF of 100 or higher, the amount of protection they can offer is only marginal from the SPF of 50. Even so, the protection may not be beneficial if you miss some part of the skin or if you do not apply enough sunscreen. Also, you should note that after 2 hours of use, the original amount of SPF reduces. It is therefore essential to continually reapply sunscreen after every 2 hours depending on the time you will be on exposure to the sunlight. If you get sweat or become wet, you need to reapply the product even if it says on the package that it is water or sweat resistant. It is important to realize that SPF only deals with UVB rays that burn and lead up to cancer. However, UVA rays are very much a concern as well as they are responsible for speeding up the aging process of the skin that includes wrinkles, sagging of the skin, leathering and many other effects. It is therefore vital that when selecting a moisturizer with SPF, you choose one that offers broad-spectrum protection with UVB and UVA protecting qualities. 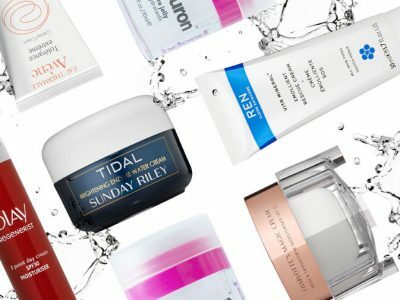 Is it better to apply a moisturizer, let it sink in then apply an SPF product on top of that or should you acquire a moisturizer with SPF and use only once? Mostly, the decision comes down to what preferences you have. It is good to note that if you plan on spending your time indoors, you do not need to use any product with SPF, a moisturizer will do just fine. However, when you are out in the sun, it is convenient to get a moisturizer that can do both jobs for you. Not only can you save time, but it also ensures that you do not forget to apply sunscreen and protect your skin. 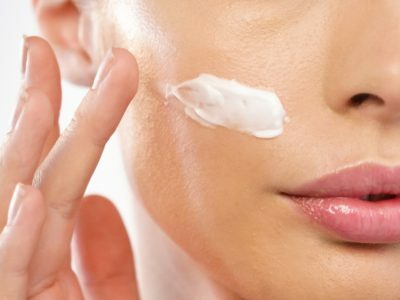 Whenever you choose a moisturizer with SPF, there are several factors you should always consider. Always check the label to see how much SPF it can deliver. Make sure that you choose a product that ranges between an SPF of 15 and 30. Such moisturizers tend to be lighter and easier to apply, and they are suitable for a daily application. Also, it is crucial that you ensure it offers broad-spectrum protection. A moisturizer with SPF will work even if you have oily skin. The formula of the oil is specially made not to block the skin pores. Always look for moisturizers with SPF that are noncomedogenic, oil-free and fragrance-free in case of sensitive skin. Ensure that your moisturizer has ingredients that give it moisturizing properties such as glycerin, hyaluronic acid, and ceramides. The product should also be water resistant and able to protect the skin for a specific duration of time. Always remember that regardless of the season, the sun can cause damage to the surface at any time. 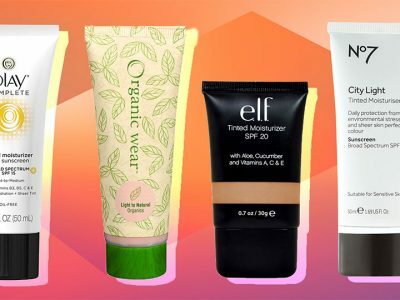 You should therefore always wear a moisturizer with SPF every time you go out. 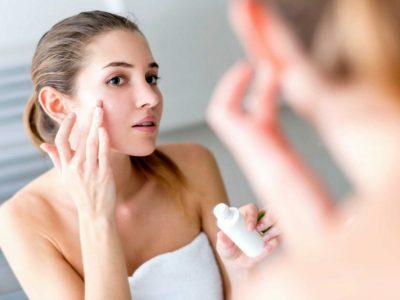 Wash your face – If you are intent on using the moisturizer on your face, you have to wash your face to allow the ingredients from the moisturizer to adequately penetrate your skin. You can use a face wash to get rid of the dirt, oil, and grease that may be resting on the surface and may prevent the moisturizer from working correctly. 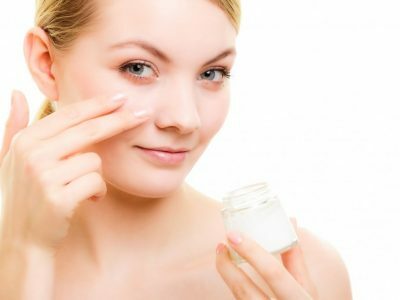 Begin with the Moisturizer with SPF – if your beauty regimen consists of other products, you should begin with the Moisturizer with SPF and finally end with the other products. SPF moisturizers are made for use during the day since they help with protecting the sin from sunrays. Therefore, you should always wash them off before you sleep and apply the appropriate night cream. How to Apply- you do not need to smother a large amount of the Moisturizer with SPF on the skin. Just use an adequate amount and cover your entire face remembering the hidden areas behind your ears. For the best results, it is best to use the moisturizer 15 minutes before exposing yourself to sunlight so that you can allow it to absorb into the skin and start working correctly. Always remember that after every 2 hours the SPF will reduce. So, remember to carry the product with you if you are looking at spending several hours out in the sunlight. When choosing a moisturizer with SPF, the most crucial aspect to consider is the SPF that the product provides. For satisfactory results, always select a product with an SPF of 15 and above. The moisturizer should also be able to protect against both UVA and UVB rays of the sun. Ensure that it has properties that are as well able to prevent the dehydration of the skin. It should be free from chemicals that can irritate the skin. For the best skin results ensure that you cover all your surface with the moisturizer.